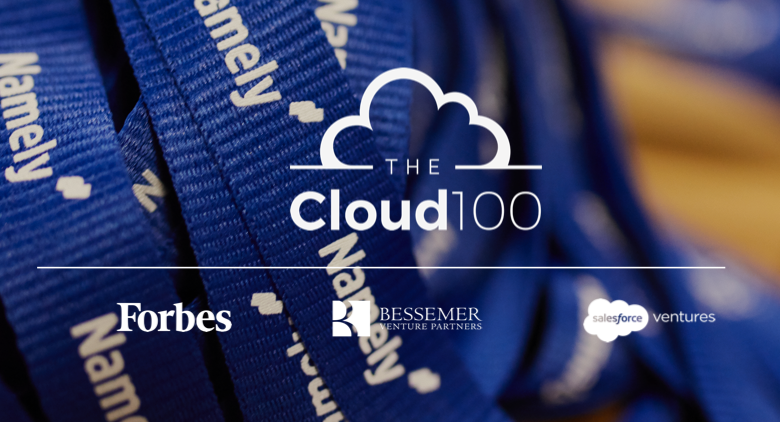 We’re pleased to share that Namely was ranked as one of the nation’s top cloud computing companies on Forbes 2018 Cloud 100 list. This marks Namely’s third time on the list, placing every year since the list’s conception in 2016. As we work to help companies manage their HR, payroll, and benefits in one spot, we’re always expanding our platform capabilities to help our clients build better workplaces. Just this week, we launched a new voluntary worksite benefits offering in partnership with Guardian Life and TransAmerica, along with introducing the Namely Connect Marketplace, allowing users to seamlessly integrate their business technologies with Namely. The Forbes Cloud 100 recognition comes at an exciting time for the company. We were recently named to Inc Magazine’s Inc 500 list of the fastest growing private companies in the U.S. and JMP Securities’ The Hot 100 list of the best privately-held software companies. For more information on the Cloud 100, you can see the complete list here.